Welcome to Day 2 of my 12 Days of Christmas. Yesterday I started off with Mini Hat Ornaments using a toilet tissue tube and some left over yarn – if you missed it you can check it out here. 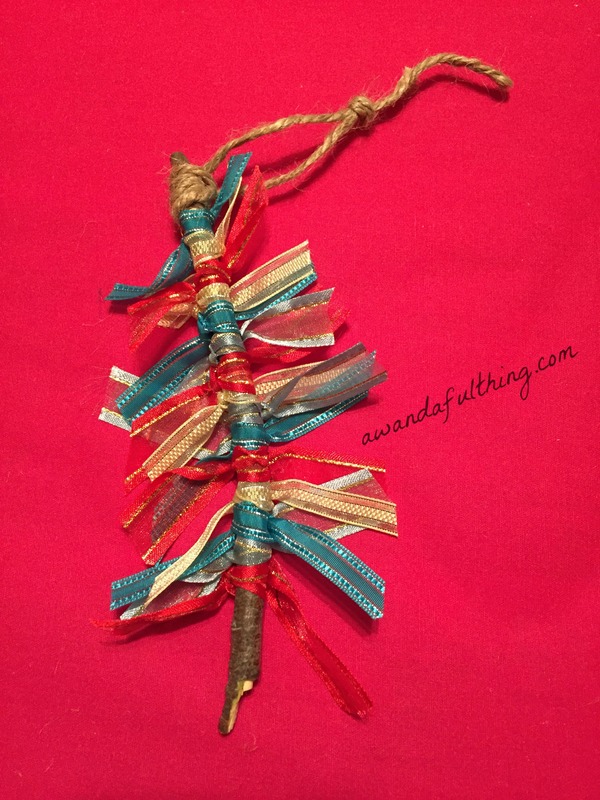 Today I want to share a really easy tree ornament using a twig, some ribbon and a piece of jute. Yup that’s it – super easy – super cute!!! For the twigs I literally went into my backyard and snapped off a few from a fallen branch, the ribbon and twine were from my own stash. My twigs are from a Mountain Ash tree and very pliable so I was able to measure and snap them into 7 inch lengths. I cut 15 pieces of ribbon, each one 8 inches long. I tied them using only one knot, then trimmed them from bottom to top, longest on the bottom, shortest on the top. I wrapped a small piece of jute (twine) at the top and left enough to make a loop for hanging. 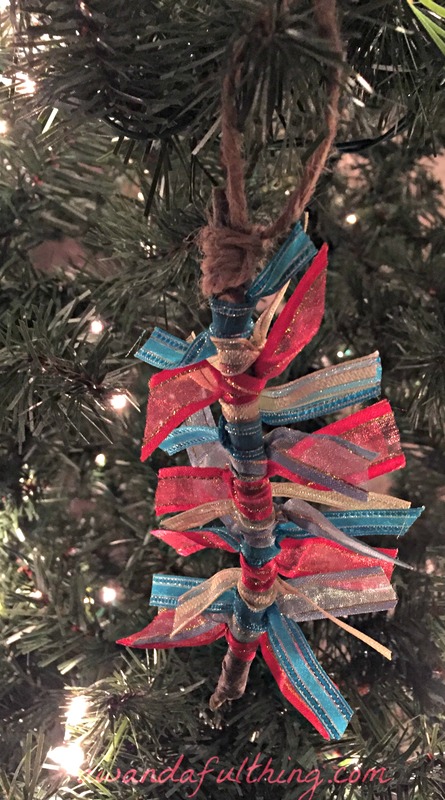 This entry was posted in DIY, Make and tagged 12 days of Chritmas, Christmas, Crafts, Decorate, DIY, easy, gift, ideas, inexpensive, repurpose, reuse, ribbon, simple, twig. Bookmark the permalink.